Economics seeks to study the ways that people use scarce resources, and ideally to find those methods that are most efficient. In modern economics, for a study to be taken seriously it must be quantitatively based, or based on numerical data. Some of these studies involve accounting for the way money is aggregated and spent within a nation. One category in this accounting of national data is transfer payments. The major measurement of a nation's productivity and wealth is its gross domestic product (GDP). The GDP is a measurement of all the product creation, taxation and business transactions by companies or citizens of a given country. To calculate this number, economists add up the value of transactions that fall into four broad categories: consumer spending, investment spending, government spending and the value of the products the country exported to other countries. The value of the goods that the country imported is subtracted from this sum to get the final value. The term "transfer payments" refers to payments made from one entity to another where no goods or services are exchanged, or expected in return. The value of that money is simply transferred to another entity. 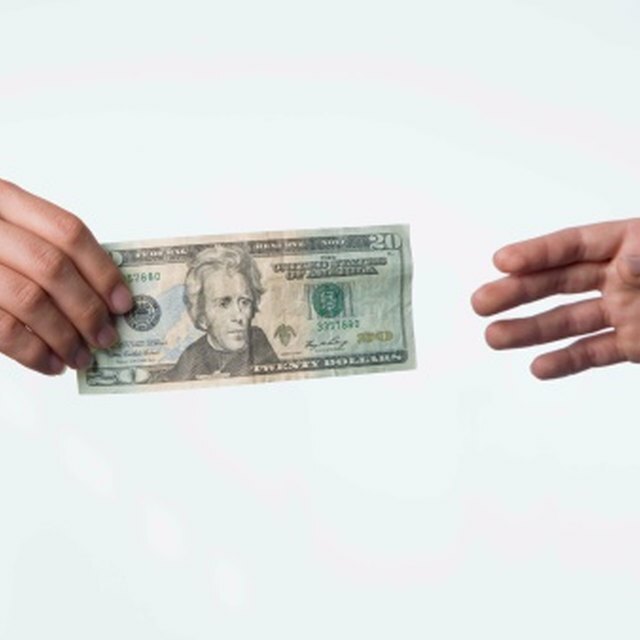 Transfer payments can take the form of charitable contributions by individuals or businesses to nonprofit organizations; monetary settlements in lawsuits; or, more significantly, money that the government gives to its citizens, for example, payments to social welfare program recipients. Because transfer payments are made without any exchange of goods or services, such payments are not considered a normal part of economic activity. To count transfer payments in a given nation's GDP would in effect be double counting. This would in turn lead to an overstatement of a nation's economic activity and the total value of that activity. Consequently, while the payment itself is not counted, as it does not represent real economic activity, goods or services purchased with that money by the recipient of the transfer payment are counted in the GDP. On the government level, transfer payments are a controversial topic. Because social welfare programs redistribute wealth -- taking money from those who initially earned it and giving it to those who did not -- conservative economists charge that these transfer payment programs hurt the economy by adversely affecting the decisions of people to work and save money. More-liberal economists argue that these programs help keep the economy afloat in poor economic conditions, when unemployment will be high, by boosting spending by those who would not normally be able to spend.